We offer a wide range of Blue Lotus Attar which is extracted from Blue Lotus Flower. 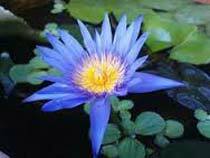 Giving a natural fragrance and aroma, we supply our Blue Lotus Attar as per the requirement of the client. Beside this, to maintain its authenticity, our Blue Lotus Attar is manufactured in hygienic environment under the strict observation of quality checkers.